This simple premise forms the basis of the work of Project Little Dream, a charitable organisation set up to construct village schools in Cambodia. 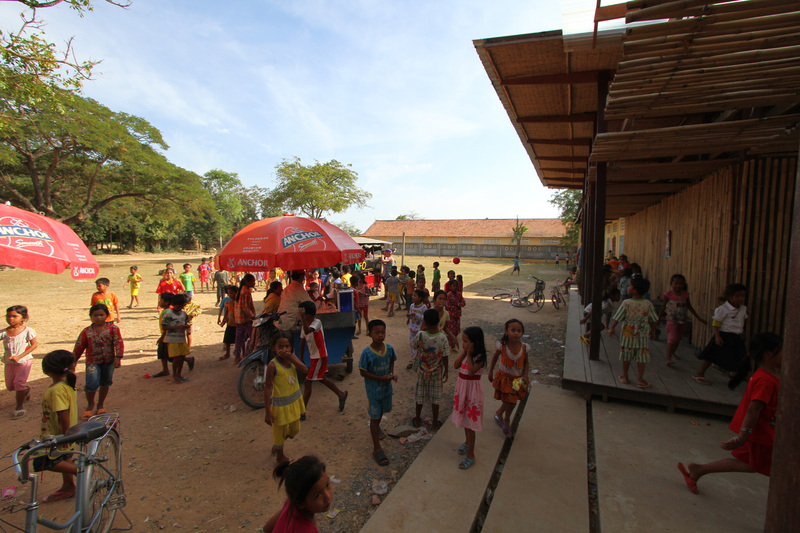 Children in rural Cambodia live too far away from the state schools and have little, or no access to education. 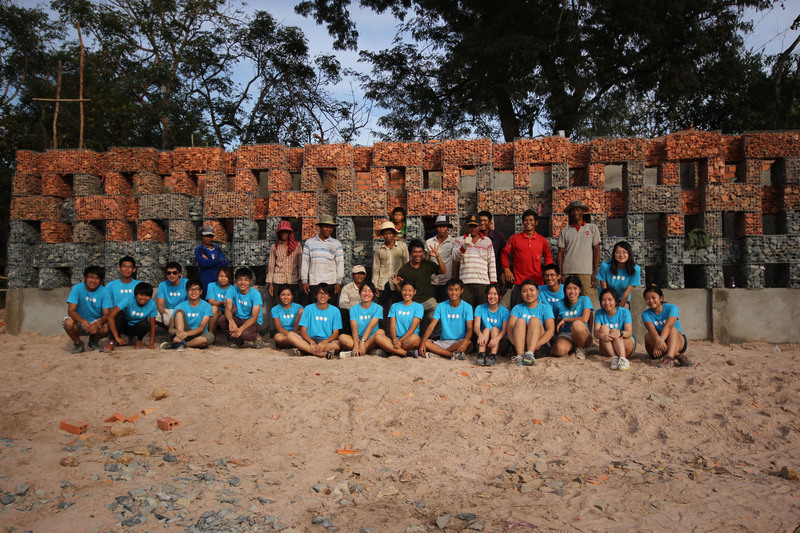 The architectural division of Project Little Dream is formed by a team of architectural students, engineering professionals and Cambodian workers, supported by a team of volunteers. 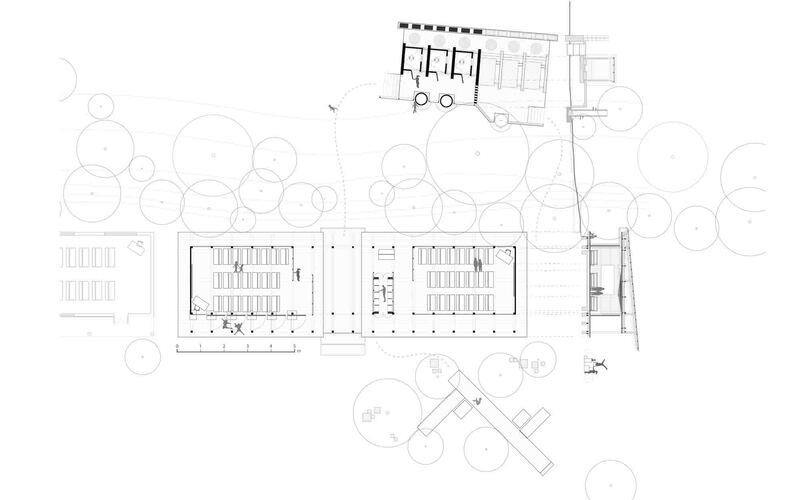 They are responsible for designing, planning and constructing the school projects. 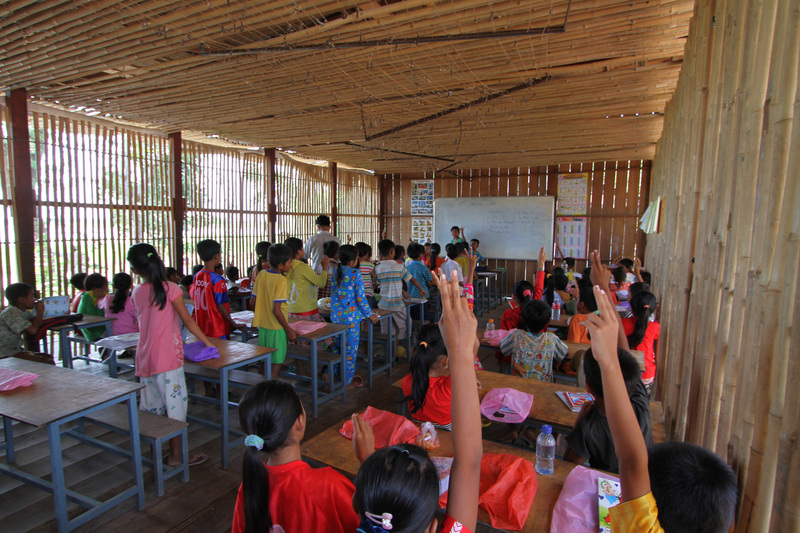 Thon Mun Community Center, completed in January 2011, is the third school by Project Little Dream. Located 12 km west of the provincial town of Takeo, the school occupies part of the village pagoda area. 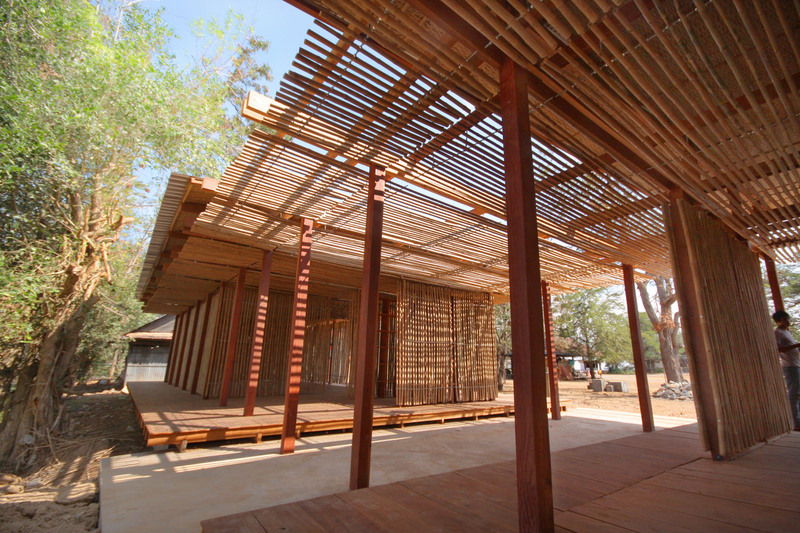 The structure actively engages the surroundings through its use of local bamboo and timber, aiming to provide a healthy and sustainable learning environment. 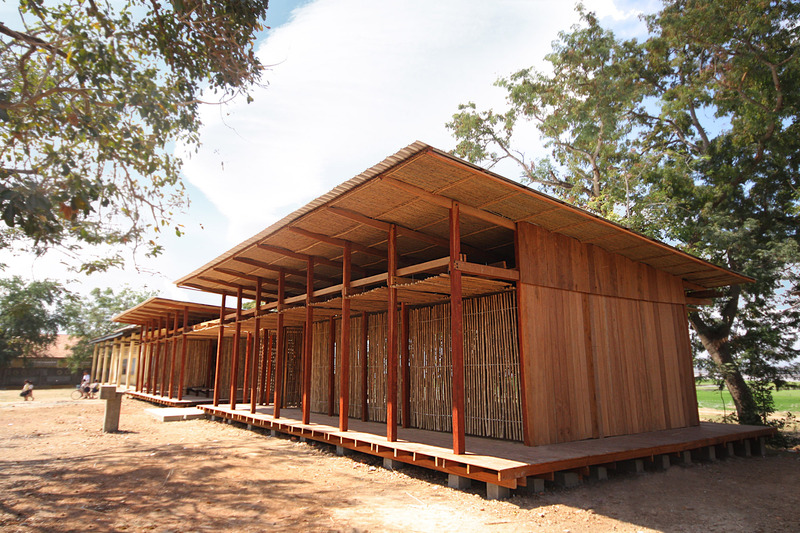 Two classrooms, raised on timber platforms, are enveloped by a series of porous bamboo screens. 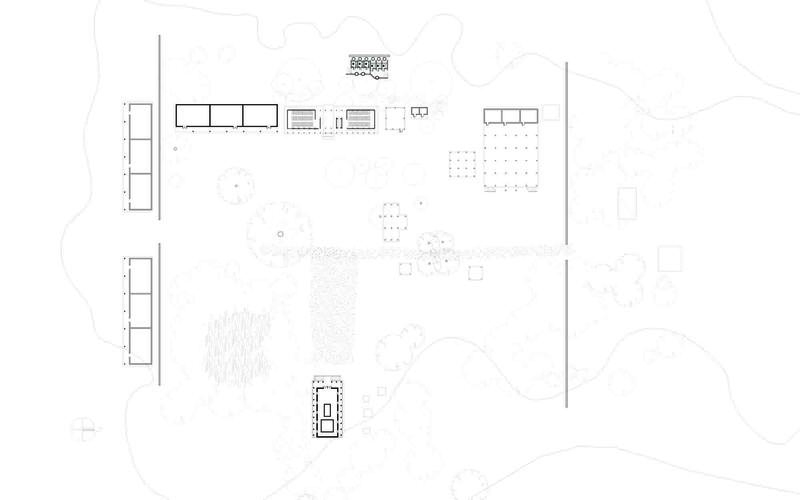 The classroom volumes stand apart from each other, creating a physical and visual link to the rice fields beyond. 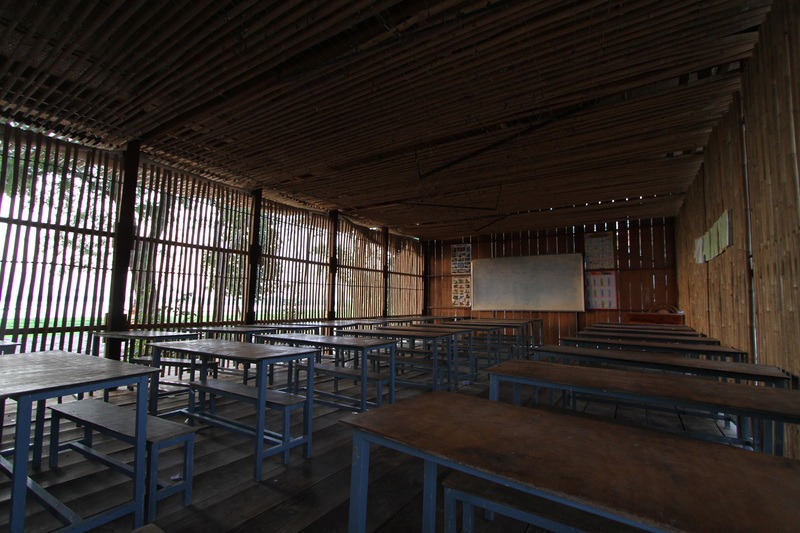 The bamboo screens are continued on the ceiling, which spans across the two classrooms, providing shade to the corridor. Double roof: The gap between the two roofs aids in separating the heat absorbed from the upper roof, making the rooms cooler below. Raised wooden platform: The gap between the ground and the floor avoids the direct transfer of heat absorbed from the ground. Bamboo walls: Space between the bamboo columns allows full ventilation and a controlled amount of sunlight. Local materials: Wood and bamboo are sourced and bought locally. 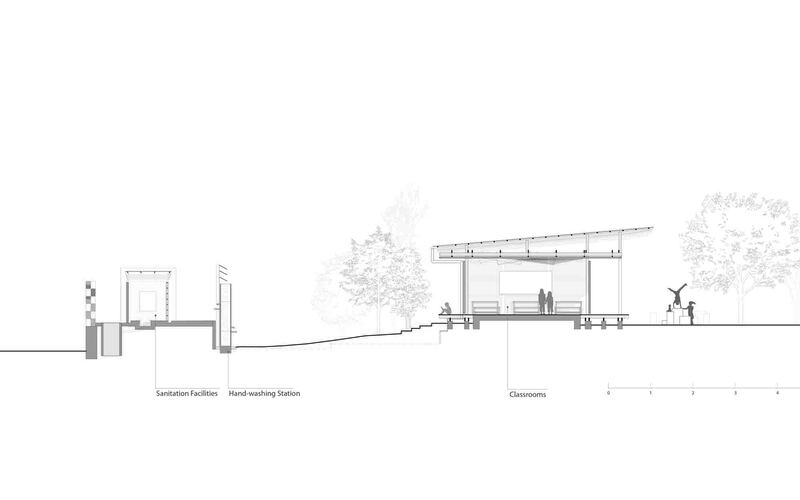 The sanitation facilities, completed in 2013, employed a heavier approach. 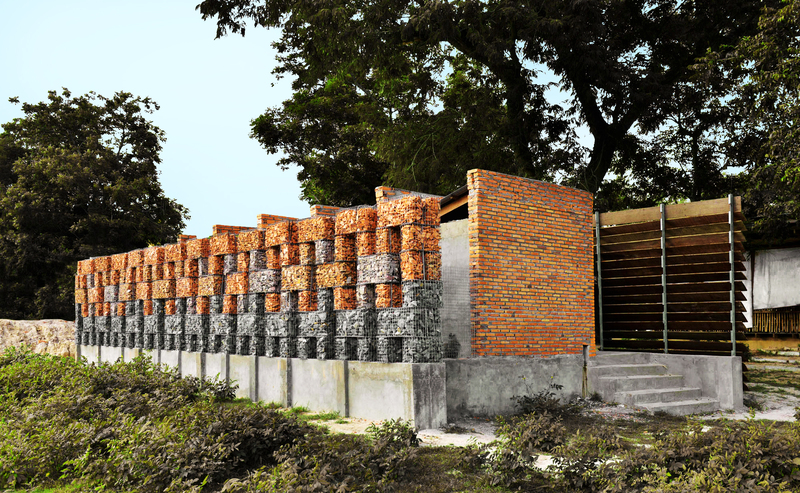 The gabion walls were constructed using rubble collected from temples destroyed in the area, to fill the wire cages.With the help o65 volunteers and local craftsmen, the centre was completed in two winter phases.